The Santa Cruz Sentinel reported that under a plan to make college more accessible to transfer students, UCSC offered admissions to 35,000 students this year, an increase of 1,400 graduate and 5,600 undergraduates. With the school planning to increase enrollment by another 10,000 students by 2040, SFGate.com estimated that at the current pace of construction it would take 966 years to meet demand. KSBW-TV reported that Santa Cruz has the 4th–least affordable real estate in the world, according to the International Housing Affordability Survey, based on a specific location’s median house price divided by that location’s median household income. The survey blames unaffordable market prices and rents on inflation created from stricter local building codes, laws, and permit processes. Despite Core Logic reporting that the average Median Housing Affordability Multiple in the United States is a relatively affordable 3.9, the $875,000 average home price and $70,088 median income means that Santa Cruz’s multiple of 11.6 is the highest in the United States. UC Santa Cruz has lots of vacant property in a meadow, originally designated to remain undeveloped in the university’s 2005 land-use plan, that could be used to build a 2,100 dormitory beds in a development named Student Housing West. But UC Santa Cruz humanities professor emeritus Jim Clifford has led a petition drive in the community to stop what he and his allies refer to as a radical break with the campus design, according to the Sentinel. 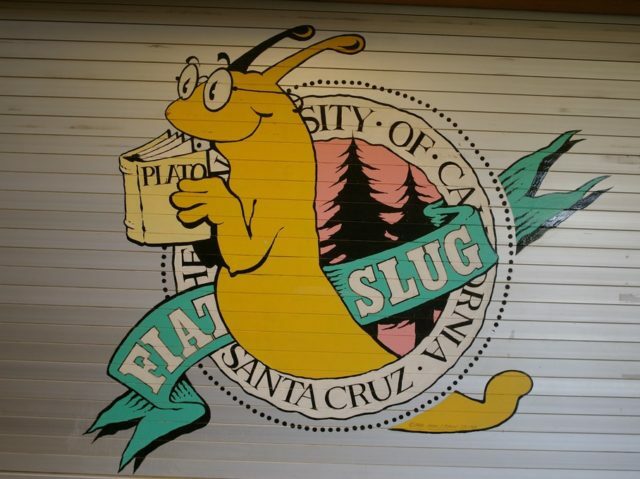 UC Santa Cruz is ranked the most liberal college in California in the annual Niche survey, based 80 percent on surveys of students’ personal political leanings and 20 percent on students’ perceptions of the political preferences of most students on their campus.